Ferrovial Agroman is the business unit engaged in civil engineering, building and industrial construction activities. 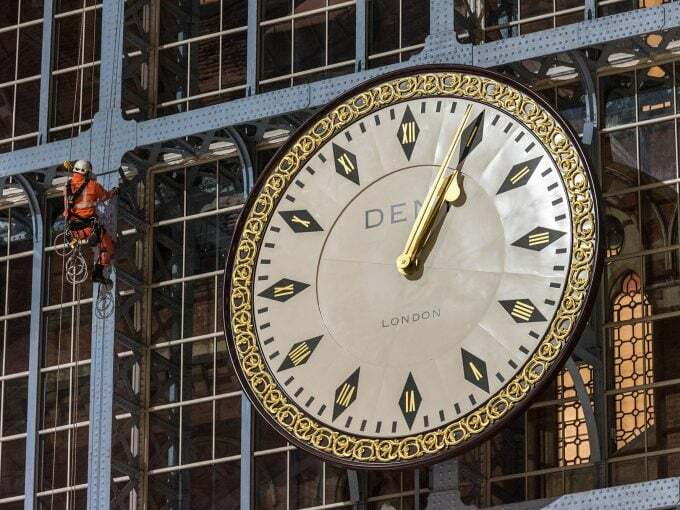 It has earned international renown for its unrivalled design and construction of exceptional projects, mainly in the realm of large-scale transportation infrastructure. Ferrovial Agroman focuses on the international market, in which it faces fierce competition from global construction companies and local businesses alike. It targets complex projects in countries that have stable economies and are committed to modernizing their infrastructure, in which it has a project pipeline exceeding EUR150,000 million. In the United States and Canada, local states and provinces are continuing to step up their investment with the support of the federal government. Highlights here include the privately-funded P3 and DBF projects, where Ferrovial has extensive experience. In 2018, bidding on road infrastructure in the state of Texas reached an all-time high. The outlook in Poland continues to look promising, thanks to the country’s long-term investment plans in road and rail through to 2025 and 2026, although returns will be affected in the short to mid term by rising prices for raw materials. In the long term, negotiations on European Funds for 2021-27 will provide added stability. In recent years the sector has been seeing particularly low profitability margins due to excessively aggressive commercial strategies, imbalances in risk transfer with customers and cost inflation processes. In Spain, the uncertain political environment has slowed the expected recovery, with a moderate increase in bidding compared to previous years led by private construction and ADIF’s rail projects. In recent years, the construction sector has been affected at a national and international level by particularly low profit margins due to excessively aggressive commercial strategies, imbalances in risk transfer with customers and cost inflation processes. 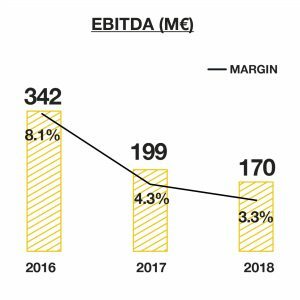 This competition and low profit margins affected returns and cash generation in 2018 at Ferrovial Agroman, which saw its EBITDA fall to 3.3%. In the near future there is no expected recovery of margins compared to current levels, which is why Ferrovial Agroman is redoubling the effort in bidding selection and control of costs, while implementing new work performance controls, concentrating more on the commercial management of the contract and focusing its strategy on profitability ahead of quantity. Construction is a key part of Ferrovial’s strategy thanks to its expertise in complex international construction projects. Together with its own profitability and cash generation capacity, coordinating the design and construction of transport infrastructure concessions creates value, in which other investing divisions of the group participate. At the same time, it offers optimal technical solutions and fixed prices and deadlines for construction, maximizing the value added to the customers and the competitiveness of the offers. In 2018, this collaboration led to the successful arrangement of funding for the Ruta del Cacao toll road (Colombia) and the award of the high-voltage Pan de Azúcar transmission line (Chile). The construction business is known for large volumes and tight margins, making risk management all the more important. In the bidding phase, the company selects countries that offer legal certainty and projects with acceptable risk sharing with the customer, while carefully picking expert local partners. During the construction phase, early planning, signing contracts with suppliers to mitigate price risks, cost control, innovation and active management with the customer are all essential. The sectorial diversification and the bidding of less strategic projects that allow the maintenance of technical qualifications, enables Ferrovial Agroman to have critical mass and human teams prepared for the needs of the group in concessions and to position itself in the most profitable market niches at any time. The international business remains focused on the US and Polish markets, which account for 60% of sales. Within other countries with permanent presence are the United Kingdom, Australia, Canada or Chile, as well as Spain as its home market. In the United States, the group’s main market, contract volume around EUR1,250 million in 2018, mainly in Texas. The group has also started construction on key projects such as the I-66 (Virginia) and Grand Parkway (Texas) toll roads and the Great Hall at Denver Airport. Ferrovial Agroman remains firmly committed to R&D+i and digital transformation, as shown by its drive to enhance BIM (Business Information Modelling) across all regions, or its involvement in various research projects, notably FORESEE and SAFEWAY, under the Horizon 2020 program of the EU to improve infrastructure resilience, security and safety. The employees of Ferrovial Agroman possess extensive experience and professional value and worth, imbuing projects with local know-how. In 2018, two employees were named Top Young Professional by the journal ENR and Best Woman Civil Engineer at the European Women in Construction & Engineering Awards. The projects undertaken by Ferrovial Agroman help reduce our impact on climate change by championing sustainable infrastructure and buildings and managing waste based on the circular economy model. The group received numerous accolades in 2018, notably The one transforming Polish Industry, title awarded to Budimex, or the International Safety Excellence Award from the British Safety Council. 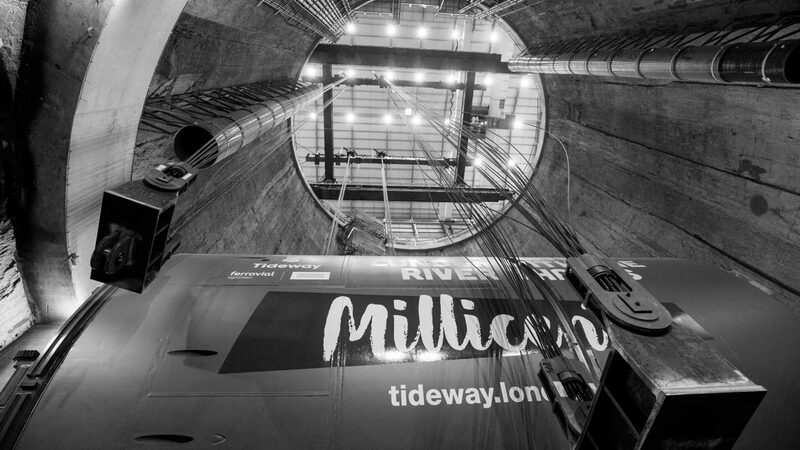 Thames Tideway Tunnel is currently one the largest sewage engineering projects in Europe, aiming to prevent the overflow and discharge of raw, untreated water into the Thames. Ferrovial Agroman, which is constructing the central section at a cost of EUR1,500 million, started tunnelling in 2018 with two tunnel boring machines inserted through a well 53 meters below the surface and spanning 31 meters in diameter. Each boring machine comes in at over 100 meters long and weighs some 1,300 tons. They will work for two years in boring a 13 km tunnel under the Thames. Thanks to the workplace risk prevention measures in place, there have been no accidents for the third straight year. 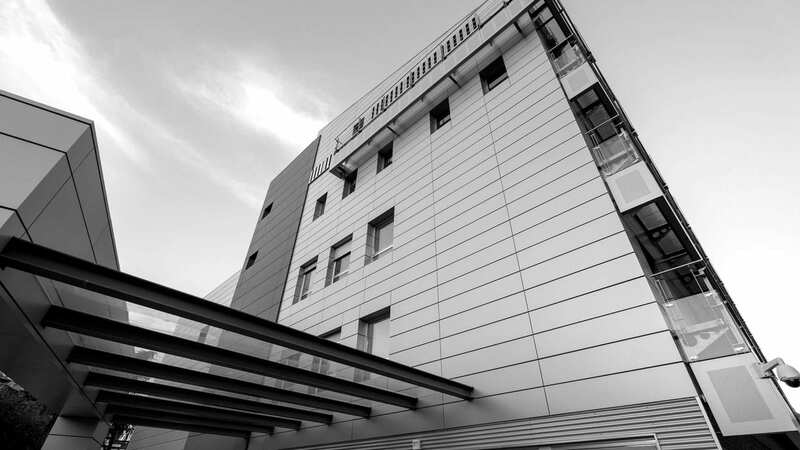 Construction was completed on Hospital Fraternidad-Muprespa Habana (Spain) in 2018. The building is looking to become one of only four hospitals in the world to be LEED Platinum certified from the US Green Building Council, the highest international standard a building can earn for sustainability. When compared with similar buildings, the new hospital will generate an economic energy saving of 43% in heating and air conditioning, lighting and consumption of natural gas to generate sanitary hot water. Electricity consumption costs are reduced considerably thanks to its 600 m2 of rooftop photovoltaic solar panels. The hospital also features technology to recover grey water, enabling it to recycle 3 million liters of water a year. FERROVIAL AGROMAN STARTED TUNNELING LONDON SUBSOIL IN 2010 TO TRANSFORM AND MODERNIZE THE CITY, IMPROVING ITS METRO AND RAIL CONNECTIONS, WHILE BUILDING A NEW SEWER SYSTEM. CROSSRAIL, THE THAMES TIDEWAY TUNNEL AND THE NORTHERN LINE WILL MAKE LONDON BETTER CONNECTED, MORE SUSTAINABLE AND CLEANER.